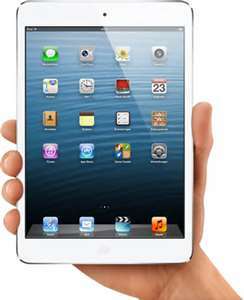 The iPod touch, iPad, iPhone are all ideal devices for the purpose of watching videos. However, some devices of the Apple can’t support most of the video formats. For example, the new iPhone and iPad are limited only to H.264 and if you want high resolutions then you can play it on MPEG-4 but only till 640×480. Sometimes, it is extremely time consuming to covert videos which are not in appropriate format. But the great news is that there is another alternative available. Most of the third party apps possess capability to play some other formats with the help of iPad’s CPU instead of graphics processor. It means your device will eat more battery power as compared to video player but it really worth having those apps. So what different options a user has? For most of the users, the ideal choice will be an app named AVPlayer HD. At present time, it may cost £1.99, which is really a very small charge to pay for getting high convenience. Some other apps include OPlayer HD and Cinexplayer HD which cost £2.99 and £2.49 respectively. The choice will be mainly depend on whether you want to actually play videos on your iPad or just want to stream them on your home network. For instance, Cinexplayer HD can play files which are stored locally and supports .srt subtitle and Dolby Digital (AC-3) files. Each week different types of apps get added to App store, so a user has got plethora of options when it comes to running an app which can play WMV, MKV, MPEG, Divx, AVI and some other video formats. An App like BUZZ player offers everything from a solid package of HD videos in MKV format. TTPlayer is one more app which can offer any video format that a user can think of. It supports multi-stream audio, provides subtitles and comes with awesome gesture controls. OPlayer provides every feature which a user expects from an App. The comprehensive support offered for all types of files makes it user-friendly for any newcomer. AVPlayer HD can support Dolby TrueHD and other similar range of formats. It also lets you to transfer any video file to your device through USB cable or Wi-Fi. Many of these apps possess a simple transfer method called as web interface. The unique benefit is that you don’t need to install iTunes, so you can easily send video files to someone’s iPad, iPod touch and iPhone, without interference of iTunes account or library. As soon as you get your video player app, your iPhone or iPad can play any video file without any need of converting it into format compatible with iOS. If you have latest iPod touch, iPhone or iPad, you should not face any trouble in playing HD videos. However, on some older devices, you may be restricted to 720P or even lesser resolutions. This happens because the processor of old devices is not sufficiently powerful to deal with videos of higher quality.